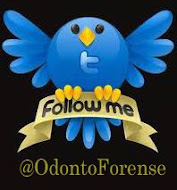 Introduction: The execution of forensic odontology technique for human identification depends on the existence of dental files produced ante-mortem (dental records, clinical notes, radiographs or dental casts). However, when these are not present, other sources of dental data should be searched, such as photographs of the smile. Objective: To compare the performance of undergraduates of Dentistry and postgraduate students of Forensic Odontology to execute human identification through the analysis of photographs of the smile based on decisive dental parameters. Material and methods: Forty Dentistry undergraduates of a School of Dentistry (20 presenting history of orthodontic treatment and 20 without treatment were photographed as follows: 1) extraoral photograph of posed smile, at frontal position and; 2) intraoral photograph, at frontal position. Using these 40 pairs of photographs, four tests were prepared (A, B, C and D) which were sent to both 12 undergraduates of Dentistry and 12 postgraduate students of Forensic Odontology both from another School of Dentistry. The examiners should analyze and correlate a picture randomly and previously selected (photograph of the smile or intraoral photograph) with its corresponding one (photograph of the smile or intraoral photograph), which was set in a showcase composed by 10 images, by pointing out the main criteria for reaching a final conclusion. Results: All the subjects of the research, in both groups, correctly answered to test A (analysis of a photograph of the smile in a group of 10 intraoral photographs). The tests B (analysis of an intraoral photograph in a group of 10 photographs of the smile) and D (analysis of a photograph of the smile in a group of 10 intraoral photographs) had 91.6% success among postgraduate students; and test C (analysis of an intraoral photograph in a group of 10 photographs of the smile) had 83.3% success among undergraduate students. Conclusion: Among the most relevant parameters to achieve the result of Forensic dentistry identification through the analysis of photographs of the smile, the morphology of the incisal edges of anterior teeth was the aspect most often cited by both undergraduate students (83.3%) and postgraduate students (72.9%), within the 48 tests applied to each group. Most of the Dentistry undergraduates and Forensic Odontology postgraduate students were capable of performing the human identification through the analysis of photographs of the smile, considering the wide variety of potentially demonstrable dental characteristics of the anterior teeth. Article published in: RSBO. 2012 Oct-Dec;9(4):407-15.